Looking to make your own face oil cleanser? Learn how to make a custom DIY oil cleansing balm perfect for YOUR unique skin’s needs. This is a guest blog post from my beautiful friend Jennifer, the lady behind the natural beauty blog Jenni Raincloud. I’ll let her take it from here…! I firmly believe the Oil Cleansing Method is one of the best ways to achieve healthy, beautiful skin. Because soap based cleansers are typically harsh and can strip the skin of its much needed natural oils. Yes, your skin needs oils to be healthy! Soap based cleansers also disrupt the skin’s acid mantle or pH, causing irritation and opening the door to blemish-causing bacteria. With oil cleansing, the oil actually dissolves excess oil and dirt in our pores. Because like dissolves like, if done correctly, oil cleansing helps cleanse the skin and purify the pores. Oil cleansing also leaves you with the most moisturized, supple skin! While there are countless natural oil cleansers available to buy, I prefer to make my own. It’s so easy, fun, and — most importantly — customizable! Meaning you can make an oil cleanser thats perfect for your unique skin. There are very few rules with DIY skin care — it doesn’t take a scientist to make effective, natural skin care that’s safe and clean! It does take a scientist to add in all those toxic ingredients no one can pronounce. Get creative! If you don’t love what you come up with, omit or add ingredients until you find what works. It’s so rewarding when you make your own skin care products and your skin responds in a positive way! 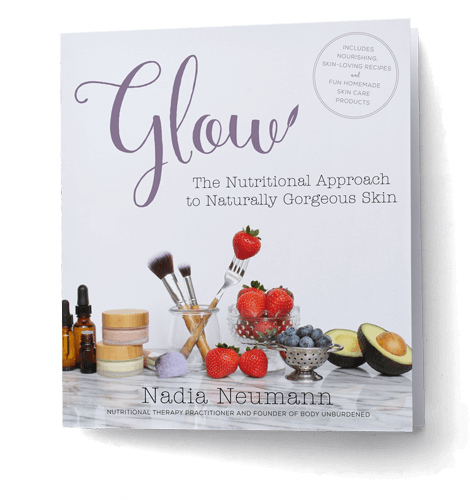 Many different ingredient ideas to increase cleansing, reduce inflammation, and nourish the skin! That way, if you’re new to making your own natural skincare products, you can decide how simple or involved you’d like to make your new oil cleanser. There are 4 key elements to a fantastic, custom face oil cleansing balm. There are so many different carrier oils to choose from based on your skin type. I like jojoba oil because it is the closest oil to the skin’s natural oils. Sweet almond oil is another good choice. Both are highly unlikely to clog pores. If you’re concerned about oils causing blemishes, hemp seed oil and sunflower oil are least likely to cause congestion. For all of the details on these oils, other great options, and their benefits, see The Best Face Oils by Skin Type. Castor oil stands apart from the other carrier oils since it’s naturally astringent and so pulls impurities from pores. It’s an essential component to every oil cleanser for this reason. Beeswax is used to thicken the oils to a balm consistency. I think making an oil cleanser into a balm makes it easier to apply. Not to mention, when adding ingredients such as clay, herbs and shea butter, you need a balm consistency in order to properly incorporate the ingredients. Essential Oils are the easiest way to boost the effectiveness of your cleanser. My favorites for anti aging are geranium, carrot seed, frankincense and cypress. If you’re looking to clear your skin tea tree, lavender, and ylang ylang are best. Shea Butter is an excellent source of anti-aging antioxidants and works wonders for dry skin types. It also scores a 0 on the comedogenic scale meaning it will not clog pores. Cocoa Butter is also highly nourishing and rich in age fighting antioxidants. Vitamin E is a potent antioxidant, helping to neutralize aging free radicals and prevent the sebum oxidation linked to blemishes. Plus, it helps protect the delicate carrier oils by keeping them from oxidizing, increasing the shelf-life of your DIY oil cleansing balm. Seaweed is excellent at reducing puffiness. It is hydrating, reduces redness, calms and tightens the skin. It also helps renew skin cells making the skin look fresh and radiant. Spirulina actually alkalinizes the skin. It can reduce the appearance of dark circles and fights inflammation. Oatmeal is excellent for calming irritated skin. It’s great for reducing redness and inflammation. It’s hydrating, relieves itchiness and kills bacteria! I suggest grounding your oatmeal in a food processor or even a coffee bean grinder! Clays are mainly used to detox the skin. They can actually act as a dirt magnet!! Not to mention clays intensely rev up of circulation!! To learn all about different types of clays and which one is right for your skin go HERE. Dried Herbs not only add benefits to your cleanser, they also can make your cleanser pretty! I love using rosebuds or petals, lavender buds, calendula flowersor chamomile flowers! They all help to beautify, calm and brighten the skin. They should be ground in order to not scratch the skin as well as bring out their benefits. Finely Ground Pink Himalayan Sea Salt adds minerals and exfoliates the skin. It’s very important that the salt is finely ground, however, or else it can be too abrasive and damage the skin. Activated Charcoal is an excellent ingredient to add for skin that needs a good detox! Go HERE and HERE to learn of the amazing powers of charcoal plus a couple DIY masks you might be interested in. *1 tbs TOTAL. For example, if you decided to add clay and oatmeal, add 1/2 tbsp of each ingredient for a total of 1 tbs dry ingredient. If you were use add a third dry ingredient, you would use 1 teaspoon of each as there are three teaspoons in one tablespoon. **Not only is vitamin E a potent antioxidant, but it also preserves the delicate oils in your oil cleansing balm, preventing them from going rancid and so increasing the shelf life. Fill a medium sized pot 1/2 full with water. Place a glass pyrex bowl with a spout in the water. Allow ingredients to fully melt. If you’re adding Vitamin E, spirulina, seaweed, oatmeal, salt or essential oils, add them after you’ve removed your mixture from the heat. Pour into a 4 oz. glass jar. If adding ingredients mentioned in step 6, you’ll want to periodically mix your balm as it hardens in order to incorporate the ingredients evenly. Allow cleanser to cool and thicken before using. Scoop a quarter size of cleansing balm into the palm of your hand. Massage your skin for at least 1 minute. Apply a hot cloth over the skin and let sit until lukewarm. Gently wipe the oil off. Rinse cloth with hot water and re-apply to the face, letting it cool. Follow up with a toner and moisturizer if needed. Oil cleansers have a shelf life of about 6 months. As long as water based products are not added, bacteria is not an issue and a preservative is not necessary. Looking for a ready-made DIY oil cleanser formula to recreate? Have you tried the oil cleansing method or making your own oil cleanser yet? Have any tried-and-true tips or go-to recipes? Please share with us below! I can’t wait to experiment with this formula- thanks for sharing! You’re so welcome! If you come up with a great recipe, please come back and share it with us!! 🙂 Have fun! Thanks Nadia and Jenni! 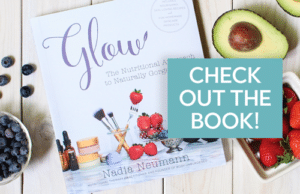 I love when serendipity strikes – I was just looking for a DIY cleansing balm recipe when your email hit my inbox with this link! I whipped it up last night and it was absolutely luxurious. I added tea tree oil, sea salt and bentonite clay to jojoba oil, castor oil and beeswax. Since I didn’t add any of the other optional ingredients I doubled each of my ingredients and it made about 4 oz. It was perfect. My skin isn’t used to exfoliating though. Since I added sea salt, will it be too much to use it every day? Charla, that is perfect timing! Can’t wait to try this! I’ve just started collecting ingredients. Can you clarify what it means in the recipe by “1/2” Vitamin E oil? Thanks! Oops! Thank you for pointing that out, Karin! It should be “1/2 TSP Vitamin E oil” – will fix that now! Loving my custom oil cleanser! I used grapeseed oil, castor oil, beeswax, and added in: ground oats, spiraling powder, and carrot seed, geranium, frankincense, and lavender essential oils. Castor oil stands apart from the other carrier oils since it’s naturally astringent and so pulls impurities from pores. Not to mention, when adding ingredients such as clay, herbs and shea butter, you need a balm consistency in order to properly incorporate the ingredients.